Walsine Pierce: A READER FROM GUAM: A Most Cordial Welcome, My Guamanian Friend! A READER FROM GUAM: A Most Cordial Welcome, My Guamanian Friend! 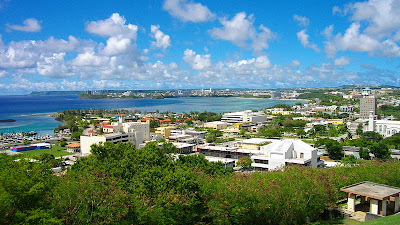 Guam, the southernmost of the Marianas Islands, is a territory of the United States in the Western Pacific Ocean. 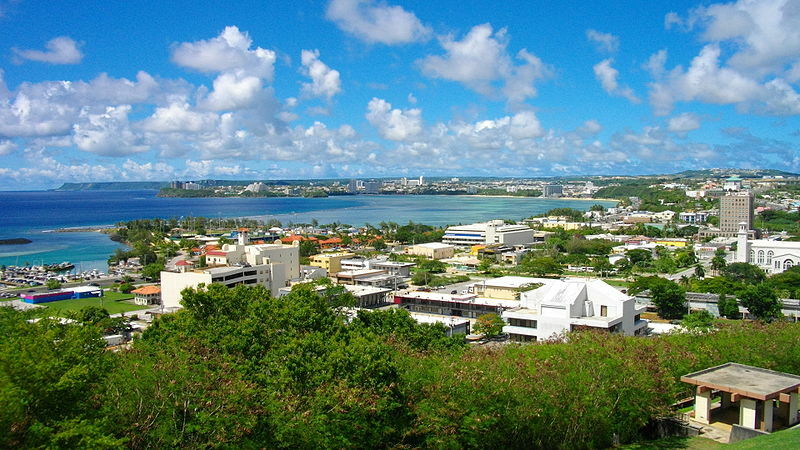 Guam's indigeous people populated the island 4,000 years ago. Guam was captured by the Japanese on December 8, 1941, a day after Pearl Harbor. The recapture of the Marianas required fierce fighting against a foe that would not surrender. The planes carrying the two atom bombs dropped on Japan took off from Saipan, an island north of Guam. 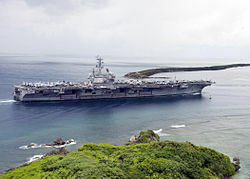 This is the USS Ronald Reagan CVN 76 sailing into Apra Harbor. The home port of the USS Yuma ATF94 in 1950-51, I have so many memories of this far off part of the world. There was no town, only Agana village which was too far to walk, there was no transportation. There were no roads from the port, just a dirt road up through the jungle to a little store, on stilts, that sold everything, including hootch for the sailors. The dock was just dilapidated wood with a cargo ship or two loading the horribly smelling copra (coconut hulls). Normally, there was no Navy except for the Yuma. As the Korean War developed and the harbor became more active, they improved and fenced in the docks and installed a marine guard, one of which pulled me out of a face down position in a mud puddle by the gate. Only good jarhead I met in the navy! During a typhoon, a hurricane in the far east, we once watched a barge break loose and sail right out of Apra harbor, through miles of break wall, and out the narrow entrance like it was under power. We had to chase it down and sink it. From here we once took a distress call and rescued a Japanese ship, towing it to Chi Chi Jima. Working that Japanese radioman with his banana boat swing was an experience I still remember. In an altercation, between Tucker, Easter and me off the tug, against five burly seabees, I broke my left wrist requiring a bone graph, which is now going bad on me at age 81. Yes, I have lots of memories of Guam.